Many fathers who are going through divorce or a child custody dispute feel that they are at a disadvantage. While Connecticut child custody and visitation laws are gender neutral, most family courts still have a bias that children belong with their mothers. If you want to spend more time with your children or seek primary physical custody, you will need an attorney who is willing to be aggressive. 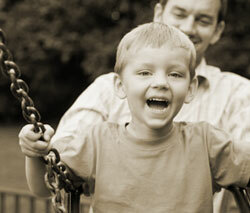 At The Hamzy Law Firm, LLC, in Bristol, our lawyers represent fathers in divorce and child custody disputes. We understand the hurdles you need to overcome and will be proactive in protecting your rights and your relationship with your children. If you are seeking primary physical custody, we will also ensure that you receive, when necessary, the same child support the mother would have received if she were the parent with primary custody. Fathers may also be entitled to receive alimony in Connecticut, depending on their financial needs and the ability of the other party to pay alimony. For more information or to speak to an experienced Bristol fathers’ rights attorney, please contact us online or by phone at 860-589-6525 to schedule an appointment.